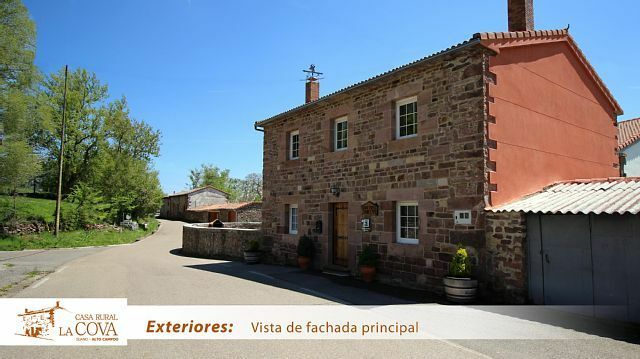 Casa Rural La Cova, so you can enjoy your visit to our land: Campoo and Cantabria. Located in Suano - Campoo de Suso, about 20 km from the Alto Campoo ski station and about 7 km from the Ebro reservoir. House completely renovated in June 2018, with capacity for 12 seats. Living-Dining room, with relaxation area, with large table for 10-12 people. Room 1: Room with a double divan for 2 people. Room 2: Double Room (150 cm bed). Room 3: Double Room (2 beds of 90 cm). Room 4: Double Room (2 beds of 90 cm + extra bed). Room 5: Double Room (150 cm bed + extra bed). Private garden with barbecue and garden tables. Parking Just in front of the house, wifi.